On a stifling August day in 2002, Alexandra Lind is thrown several centuries backwards in time. She lands at the feet of Matthew Graham - an escaped convict making his way home to Scotland in this the year of our Lord, 1658. Matthew doesn't quite know what to make of this concussed and injured woman who has seemingly fallen from the skies. What is she, a witch? Catapulted from a life of modern comfort, Alex grapples with this new existence, further complicated by the dawning realisation that someone from her time has followed her here - and not exactly to extend a helping hand. Potential compensation for this brutal shift in fate comes in the shape of Matthew - a man she should never have met, not when she was born three centuries after him. He quickly proves himself a willing and most capable protector, but Matthew comes with baggage of his own, and on occasion it seems his past will see him killed. At times Alex finds it all exceedingly exciting, longing for the structured life she used to have. It is no secret that I am a big fan of the Graham Saga. I started with book 3, The Prodigal Son and continued on to book 6, Revenge & Retribution. I had no problem getting immersed in these books, even though not reading books 1 & 2. Another chapter in this series has just been released, Whither Thou Goest and I will be reviewing that on Dec. 3rd. Once I read the synopsis I felt it was time to read the first 2 books, it just seems that much of the newest reflects things that happened in beginning. 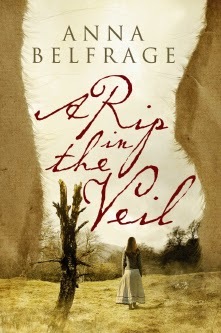 A Rip in the Veil is book 1 and it's a great introduction to Alex, Matthew and his wicked evil brother Luke. One of the things I liked about this book was getting a closer look at Alex, how she traveled back in time, those she left behind and what makes her tick. It's not just a case of 'oops here I am" kinda time travel, it's an interesting twist that carries over the whole series. It didn't take long to get drawn into this story, the authors writing style is very familiar to me now, it is smooth and right to the point. 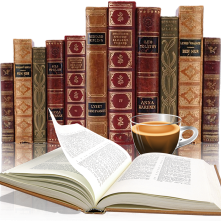 There isn't any extra filler or pages of text that just take up space, but just a smooth storyline that quite often had this reader losing track of time while reading. 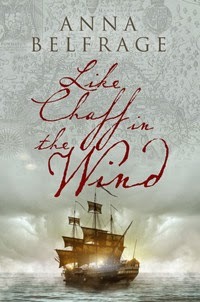 Book 2 is Like Chaff in the Wind, with my review coming on Nov 26th.